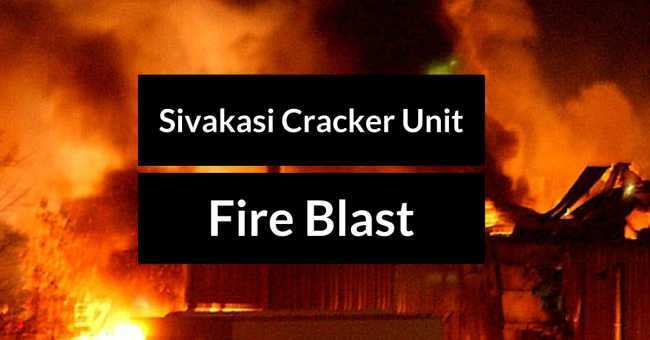 Due to a Fire Accident in one of the Cracker Units in Karseri near Sivakasi, 8 People were Injured. All Injured were to taken to the Nearby Hospitals and 4 were said to be Critical. This incident occurred at around 2PM. They were said to be drying chemical pellets. The pellets are volatile and said be the reason for most of the fireworks accidents in Sivakasi. According to Official Sources, the workers while drying the pellets dropped one sack of pellets which triggered the blast. All EIght people nearby were affected with burn injuries. Fire & Rescue Department from Virudhunagar and Sivakasi rushed and put off the fire. The Amathur police registered a Case on this Incident.